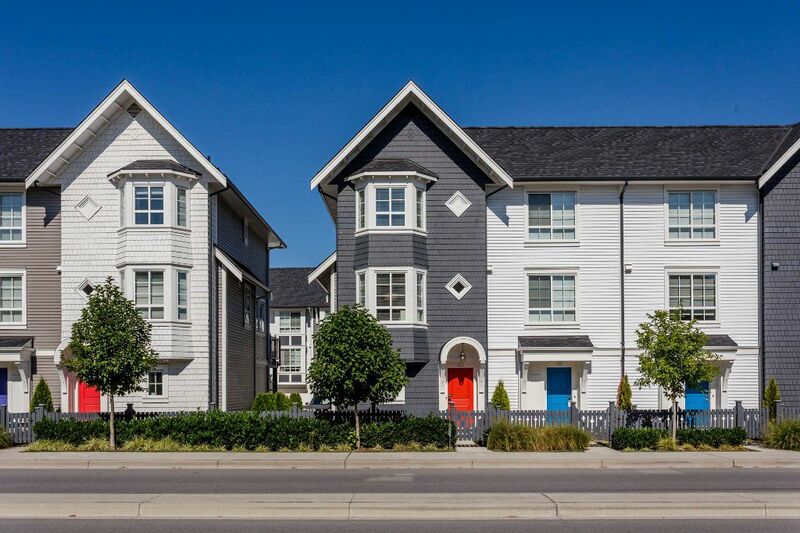 Absolutely stunning 2 Bdrm, 2 bath END UNIT townhome at York by Mosaic! Main floor feat. open concept living and 9' ceilings, gourmet kitchen w/ huge island, SS appliances and quartz counters, oversized window looking out above your sink. Access to your deck off of your living rm & your dining rm off the front has a floor to ceiling pantry + plenty of room for your kitchen table. 2 large bdrms upstairs -master can fit a king sized bed plus his/hers closets & 5 pc ensuite. South facing gated front yard! Single car garage w/built in workshop area & storage + 1 driveway spot. No rental restrictions perfect for investors & 2 pets allowed! Low strata fees! Fantastic location, steps to Yorkson Middle School, transit, shops, 52 Acre Yorkson Park & Hwy 1. OPEN HOUSE SAT SEPT 16 & 17 from 2-4 pm.